Earlier this year, we went to Valle of Mexico in South Buffalo and had one of the most unforgettable restaurant experiences of our lives (…in a bad way). Recently, I’ve noticed talk on Twitter and in the local food scene that the service and overall experience there had increased dramatically, so we decided to give the place another try. A group of us went there late last week and, luckily, had a much more pleasant dinner. While there is still room for improvement, Valle of Mexico has undoubtedly become a solid choice for Mexican food in our region. But we were. We noticed improvements immediately: freshly fried tortilla chips and tomatillo salsa were excellent and brought out instantly, and our drink orders were taken the moment we all sat down. It did take a bit of goading for us to get a corkscrew, but we were able to enjoy water (something entirely missing the first time around) and a Malbec our friend Thomas had brought back to the States from his visit to Mendoza while we looked over the menu. We ended up ordering the mole poblano enchiladas ($11.95), queso enchiladas ($11.95), flautas de queso ($8.95), and a torta (sandwich) al pastor ($6.50). We had originally also tried to order an order of chiles rellenos ($14.95), but were notified 10 minutes after ordering that the kitchen was out of that item. It is worth noting that during this ordering and re-ordering process, we had two different waitresses: one who was clearly experienced and in charge of the restaurant, and another who appeared to be in training or new. Throughout the night, the more experienced waitress made a point to check up on our table and make sure everything was running smoothly. With no major service issues this time around, all that was left was the food––and it met our expectations. We split the flautas de queso as an appetizer, and it was well received by everyone at the table. Described as “rolled deep fried tortillas w/ cheese,” it reminded us texturally of cheese-filled crêpes (pictured immediately above). 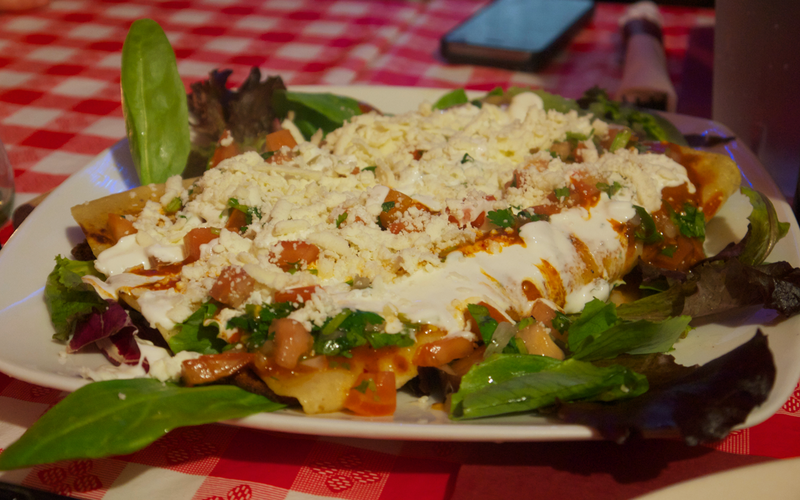 Topped with sour cream, pico de gallo, a fresh cheese blend, and cilantro, it was filling and tasty––and was presented more attractively than anything we ordered on our last visit. The two orders of mole poblano enchiladas and two orders of queso enchiladas that we ate were near-perfect as well (top photo). The mole poblano at Valle of Mexico has received critical acclaim, and it was the best thing I tasted while at the restaurant over the summer. 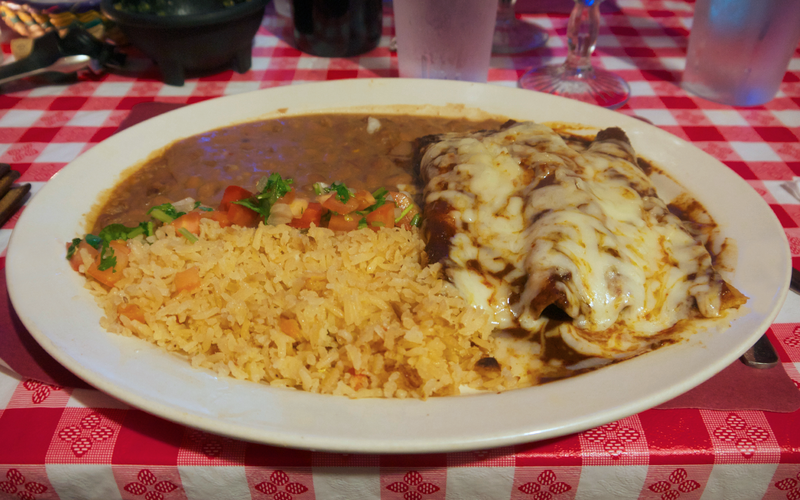 In this case, the mole sauce covered three succulent enchiladas and was accompanied by rice, beans, and pico de gallo. Everything that was on point food-wise over the summer remained so during this visit, and we throughly enjoyed the dish. The chicken inside of the enchiladas wasn’t overcooked and the mole sauce is (still) unlike anything being served in Buffalo: it’s made in-house with 32 ingredients, and you can tell. For this dish alone I’d return to Valle of Mexico. While all of the dishes tasted great, there were still some service and timing issues. Two of the plates of enchiladas came out a solid five minutes before any of the other dishes, which caused our food to have cooled down by the time we all started eating. We noticed that at Valle of Mexico, everything seems to be done one-at-a-time: glasses of water were individually filled and brought to the table, plates were brought out individually from the kitchen, etc. If the kitchen and waitstaff could better coordinate their timing and bring over every plate or drink in one visit to the table, the service would appear infinitely more cohesive. By the end of the meal, we were all glad to have given Valle of Mexico a second chance. Based on food alone, our meal was as good––if not better––than it was during the summer. And based on service, presentation, and overall experience, it was much more enjoyable. 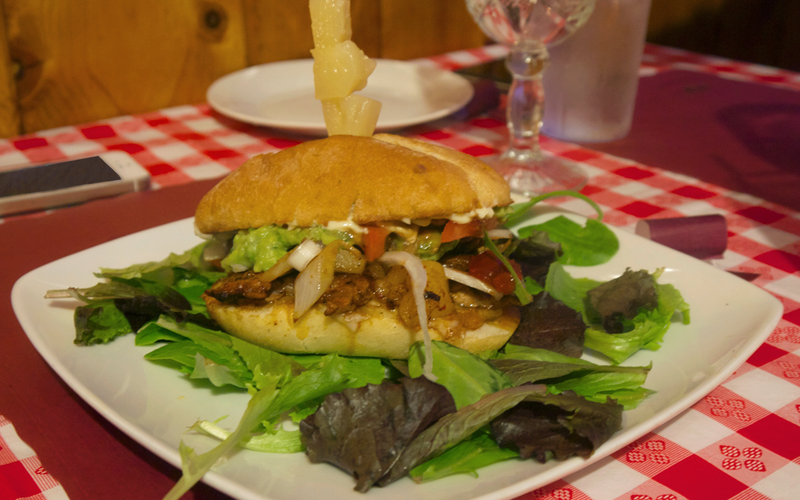 While it would not have taken much to better our last time there, our meal certainly convinced us that Valle of Mexico has improved dramatically; and we have no reservations recommending it to anyone searching for authentic Mexican food in Western New York. Next time I’m in the mood for Mexican food, there is no doubt that Valle of Mexico will be the first place on my mind.